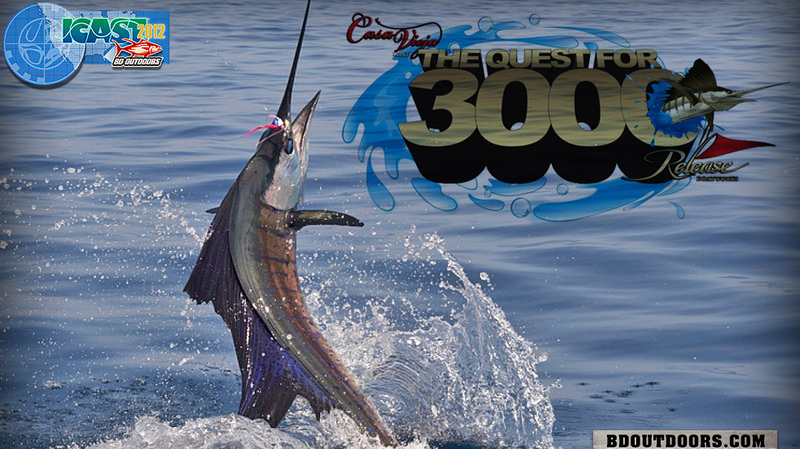 ICAST is the world’s largest sportfishing trade show with more than 9,000 representatives in attendance. 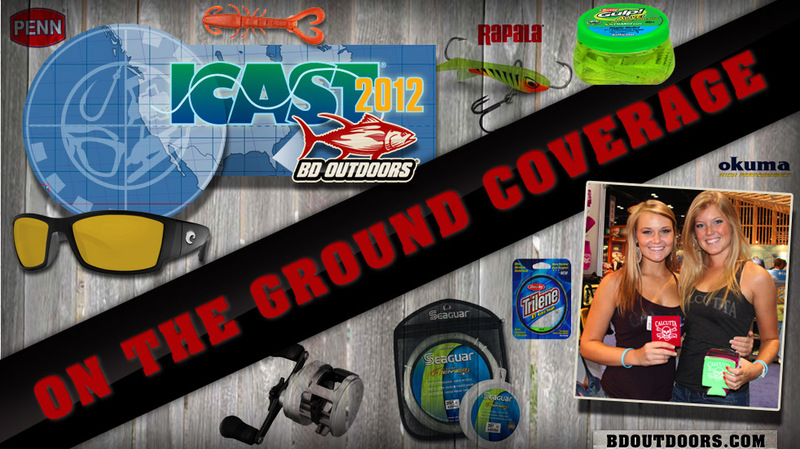 It’s also the place where the top companies in the tackle world introduce their new rods, reels, line, lures and more. 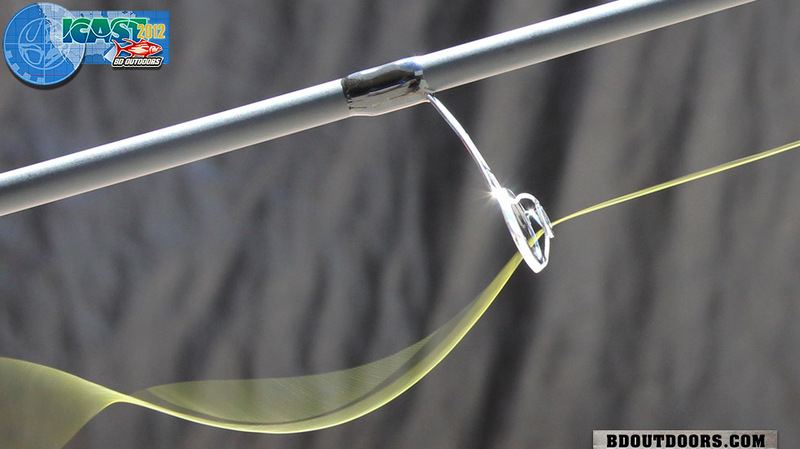 The braided fishing line on the market just keeps getting better and better. 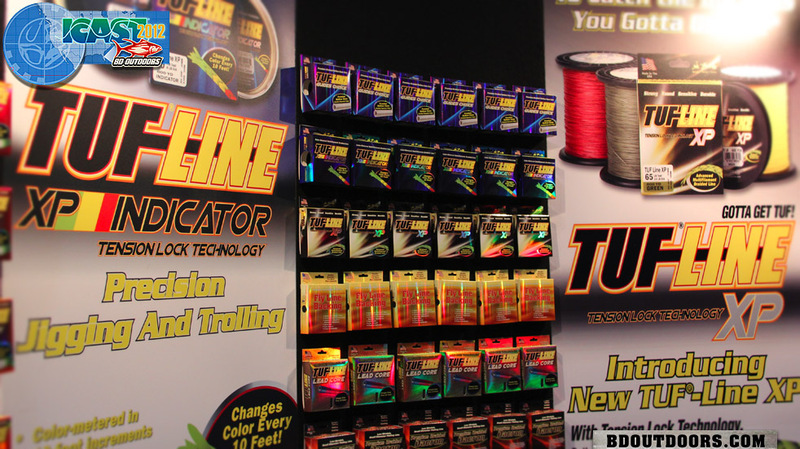 The new products introduced by Tuf-Line feature high-tech materials to make the line softer and more supple while casting farther. There are always plenty of cute smiling faces to help lure you into a booth at ICAST. Not only does Mojo make some very nice fishing apparel, they also manage to pass out tons of stickers at the shows. I wonder why? If you fish during low-light conditions where normal lenses are too dark, you’ll love the Costa 580 Sunrise Lens. 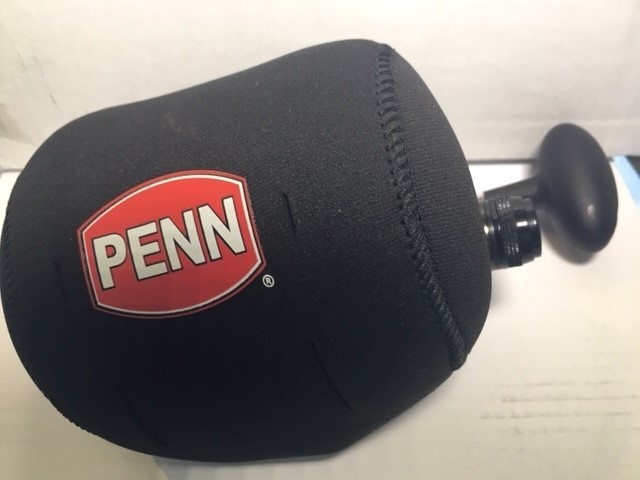 This new lens took home the ICAST trophy for best eyewear. 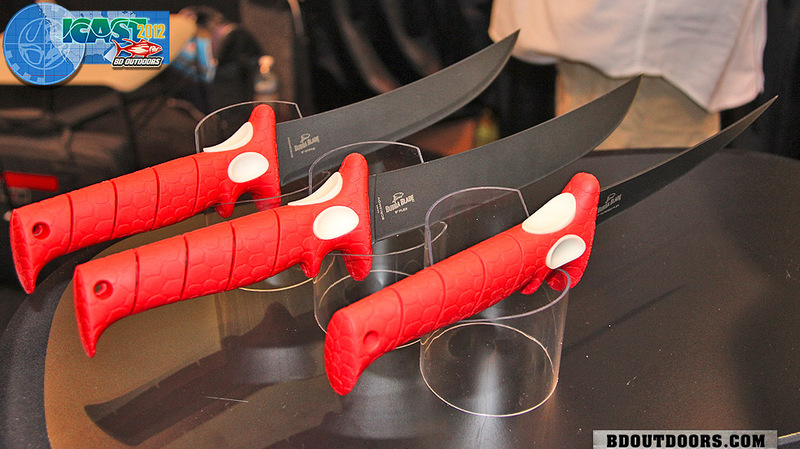 Our buddies over at Bubba Blade introduced a new knife at this year’s ICAST show, the 7-inch Tapered Flex Fillet Knife. Startup company Livingston Lures sure knew how to gather a crowd. But don’t let these girls fool you, the lures are just as attractive with water-controlled strobes and noise makers. Shimano always comes to ICAST with cool new gear. 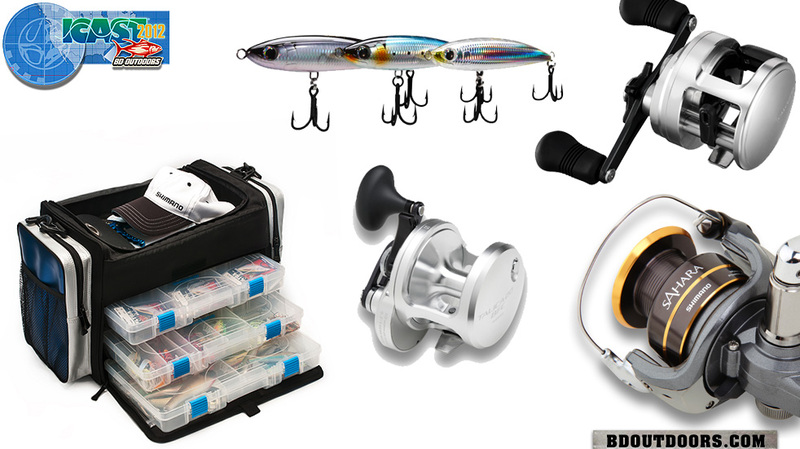 This year, the tackle storage systems, clothing and footwear dominated the lifestyle line while the Calcutta 300D, Sahara 25 spinner, Tranx and Talica 20BFC highlighted the reels. They also displayed a new stick bait and tons of other goodies. 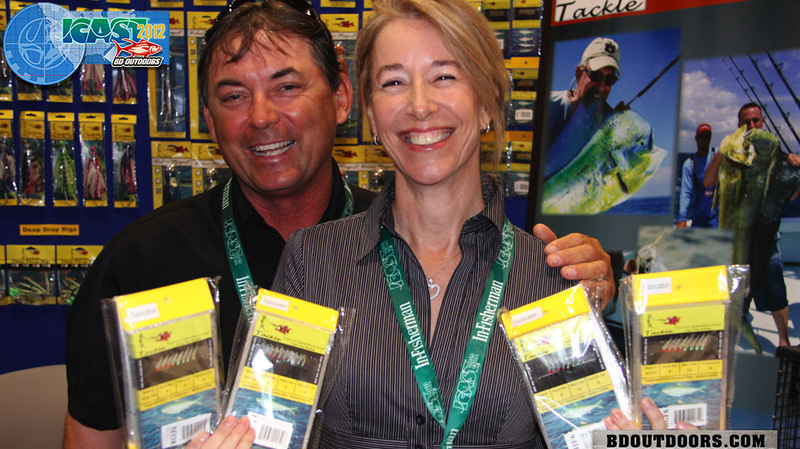 Legendary Florida captain Ray Rosher and his wife Charmain are some of the nicest folks you’ll meet in the industry. 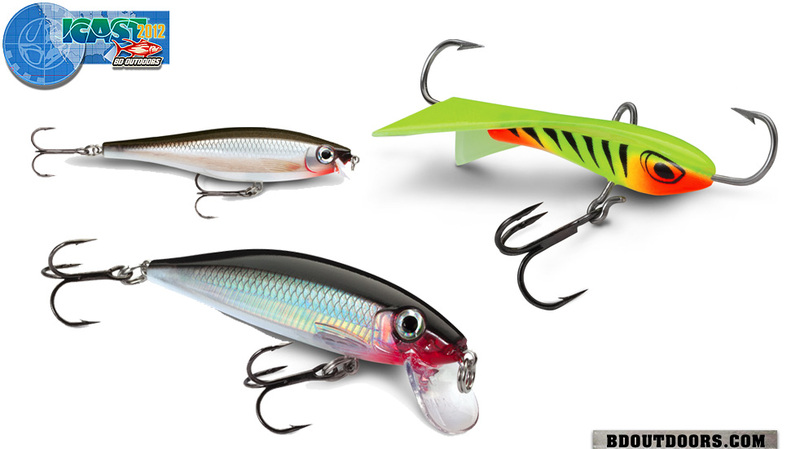 Here, they show some of the new sabiki rigs available from R & R Tackle. 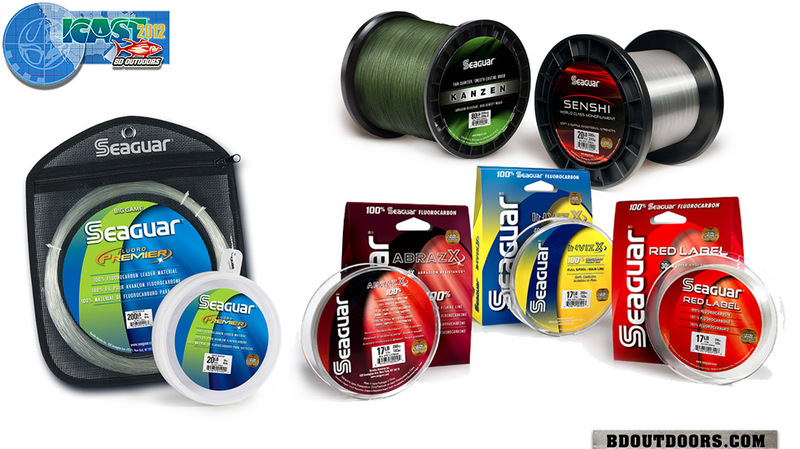 Seaguar now offers Kanzen Braid and Senshi Mono in bulk spools. They also had some new Fluoro Premier on hand and their main line products. 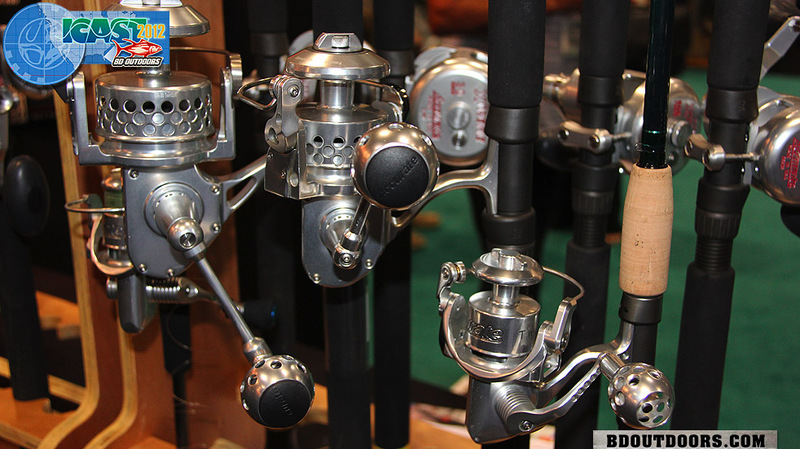 The boys at Accurate Fishing Products came to ICAST packing heat with their new spinning reel. 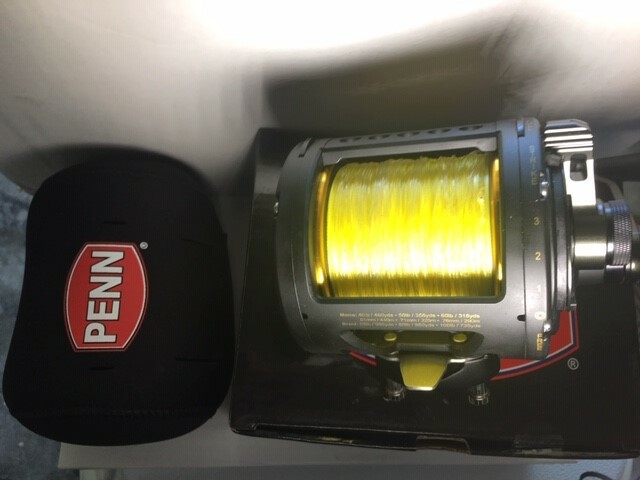 Available now in this small, light but super strong size, this reel turned some heads! The big boy! Fin-Nor’s 130 Santiago is built to take on the most powerful fish in the ocean. 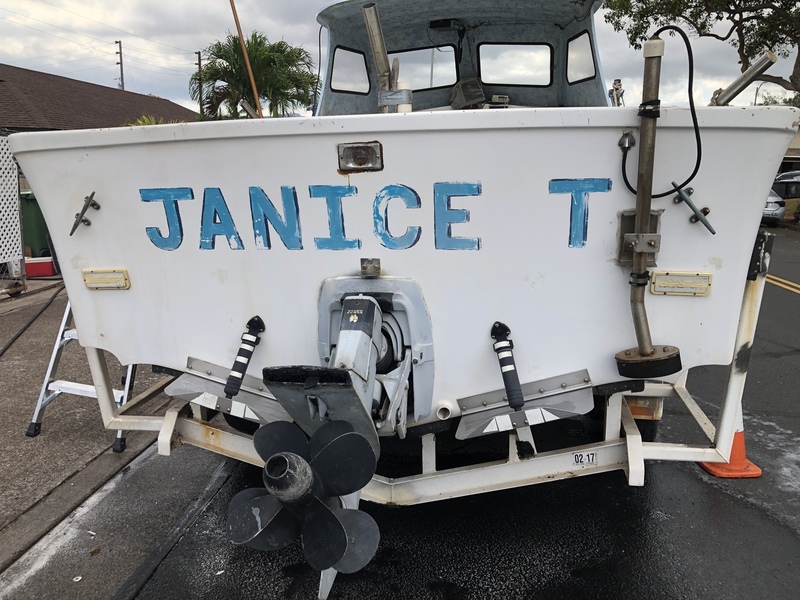 Bring on the swordfish, marlin and tuna! Not only is this booth babe cute, she was also giving away these really cool snips made by Boomerang Tackle. They come on a self-retrieving lanyard and cut braid very well. 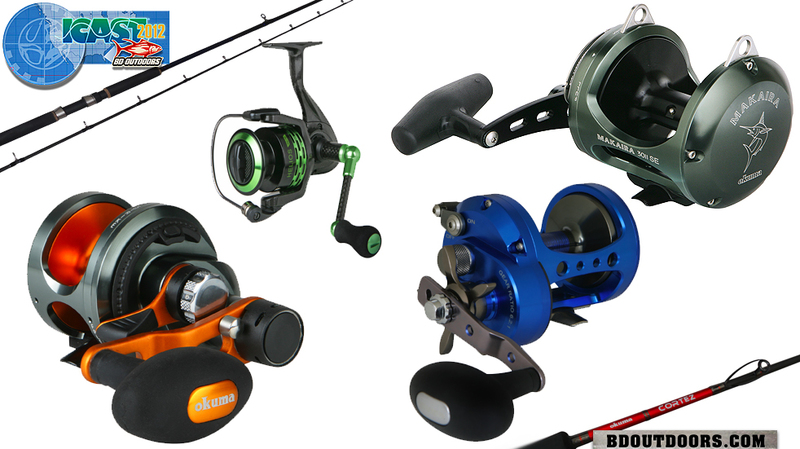 Okuma has tons of new products for 2013 including the Andros 5NII reel, the Blue Diamond casting rod, Cedros CSD, Cortez CS5 with a Cortez rod, the Helios spinners, Makaira SE reels, traveling rods and more. We see you! 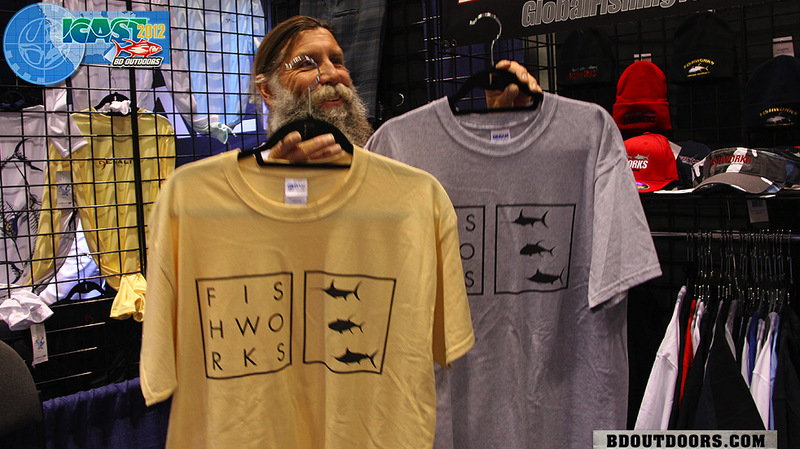 Fishworks Proven Products founder Lawrence â€œSquigâ€ Quigley thought he could hide behind some new shirt designs, but we got him. 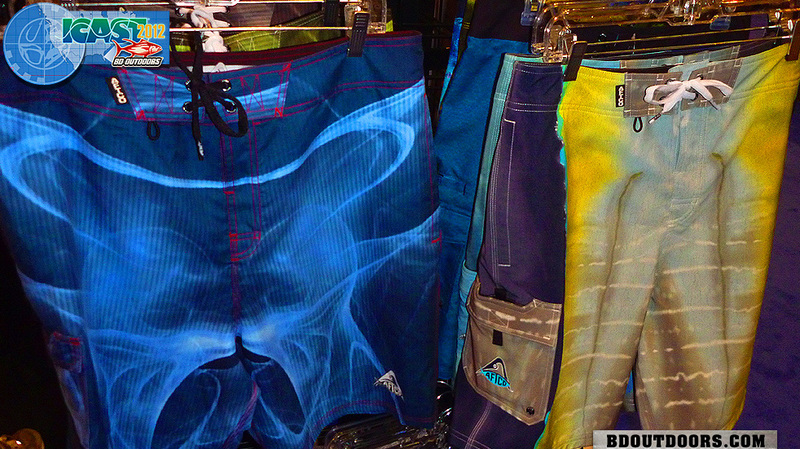 Fishworks is also introducing several new boardshorts in 2013 so keep an eye out. They’re sweet. 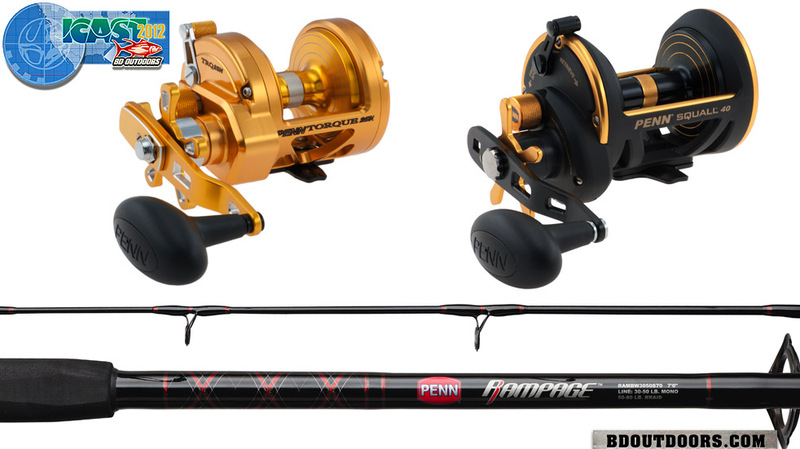 The Shimano Talica 20BFC is built specifically for fishing 20-pound and retrieves 60 inches of line per crank. 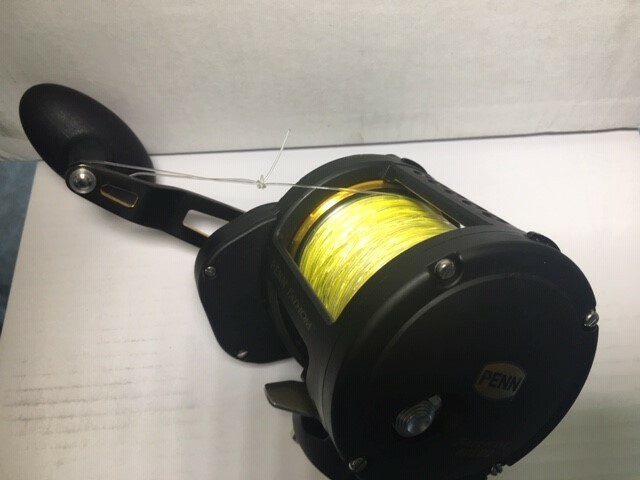 This is going to be a great tournament reel for fishing white marlin, sailfish and striped marlin. These Carolina cuties spoke with a Southern drawl that made us blush. Oh yeah, we liked the new Calcutta products as well, especially their line of pliers. 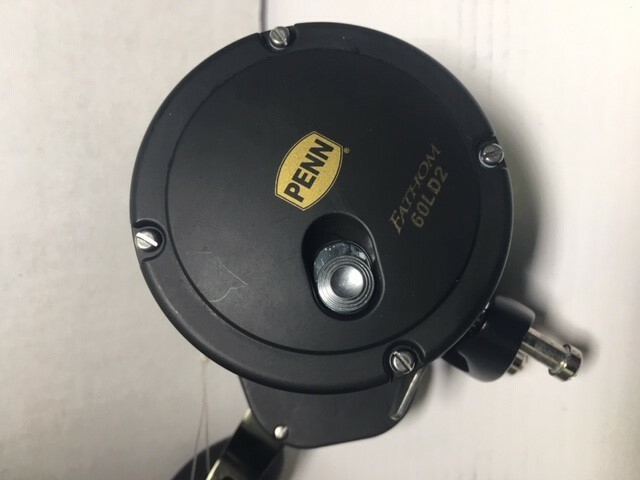 Penn’s Spinfisher V won best new saltwater reel but the company’s other 2013 offerings, including the Fathom 25 star drag, Rampage and Regiment rods, Senator 117L, Squall 40 and Torque 25NG were show-stoppers as well. 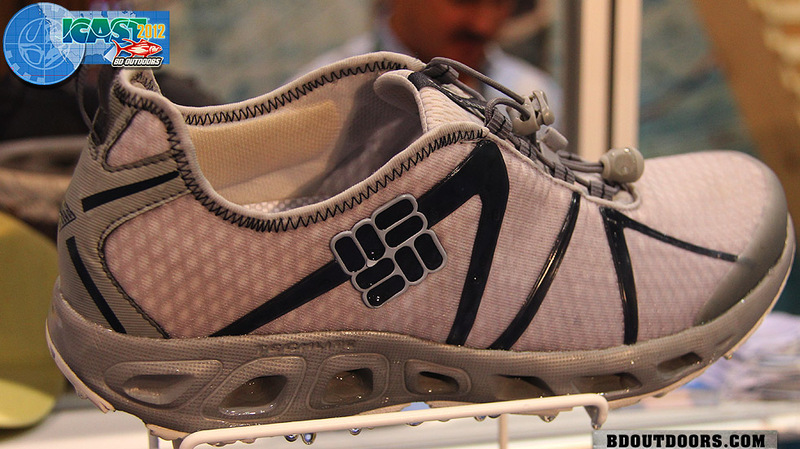 We were impressed with the new footwear introduced by Columbia. The Drainmaker shoes release water through the sides of the soles so your feet dry quickly and they’ve got great support for a long day of fishing. Maui Jim is making some nice shades these days and came out with several new frame styles for 2013. 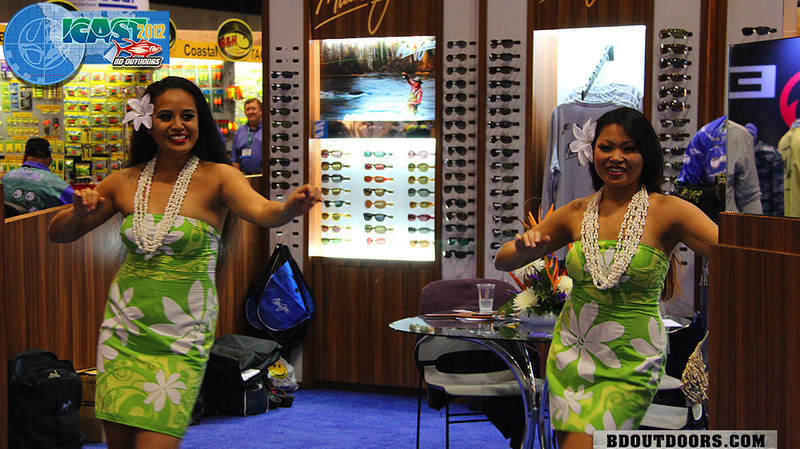 And, they had hula girls in their booth! Bigfin clothing had a blonde, brunette and a redhead working the booth. Glad to see they covered all the bases. 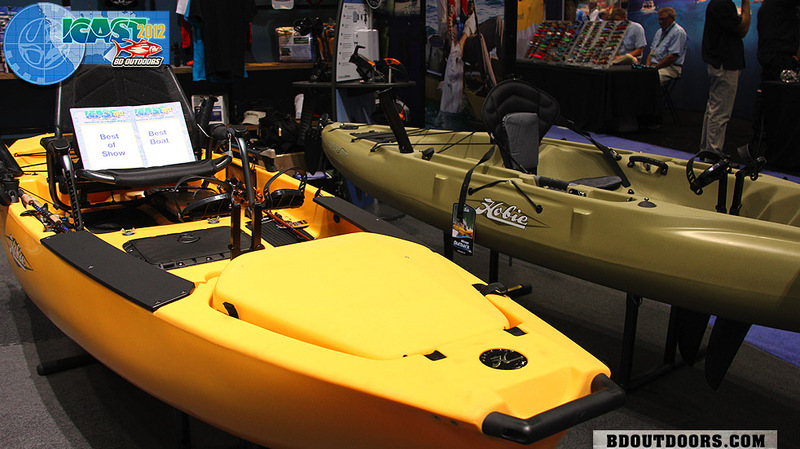 The Hobie Mirage Pro Angler 12 took home the prestigious Best in Show award. This is one incredible kayak, featuring an adjustable chair, foot propulsion, integrated tackle center, depth sounder hook up and much more. 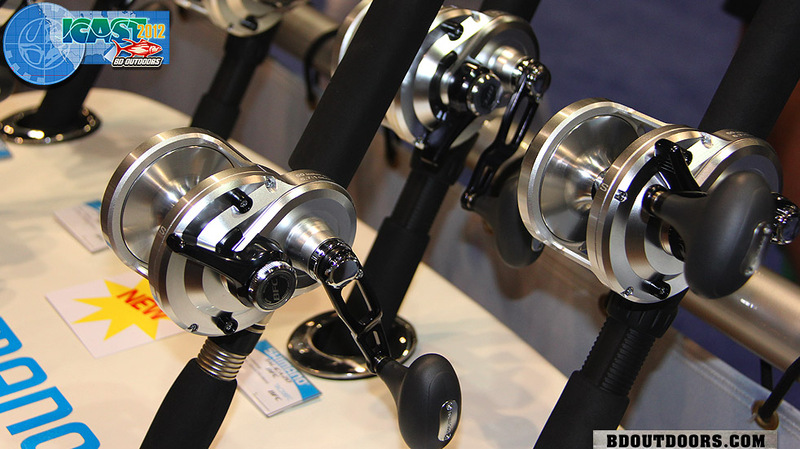 The Lexa 300 baitcasters stole the show at Diawa’s booth, but the company has a bunch of other new products that deserve attention including new Saltiga spinners, and a range of other baitcasters, rods and more. ICAST is great for seeing old friends. Derek and Cory Redwine with Capt. Rob Fordyce, a Miami and Keys Guide. The lures from Rapala and Storm are always sweet. 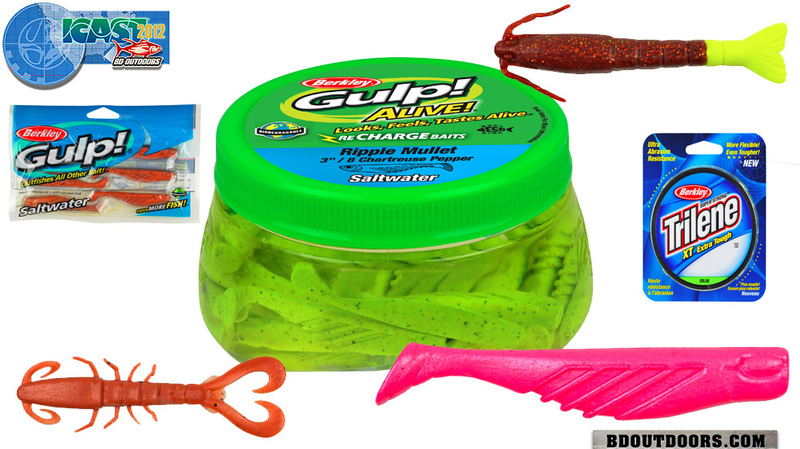 This year’s Hero line will definitely trick some fish with their slick paint jobs and tough terminal tackle. 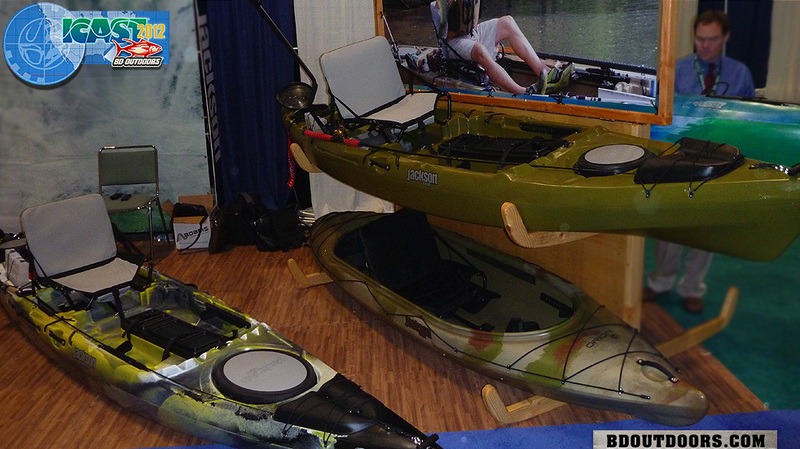 Jackson Kayaks had a full line of boats on display. 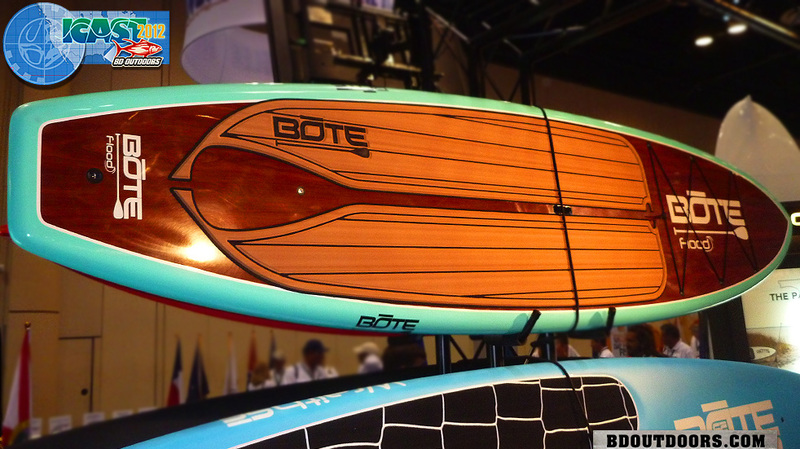 BOTE offers a full line of paddle boards for fishing, paddling, surfing and racing. These are some of the finest stand-up paddle boards you’ll find on the market. 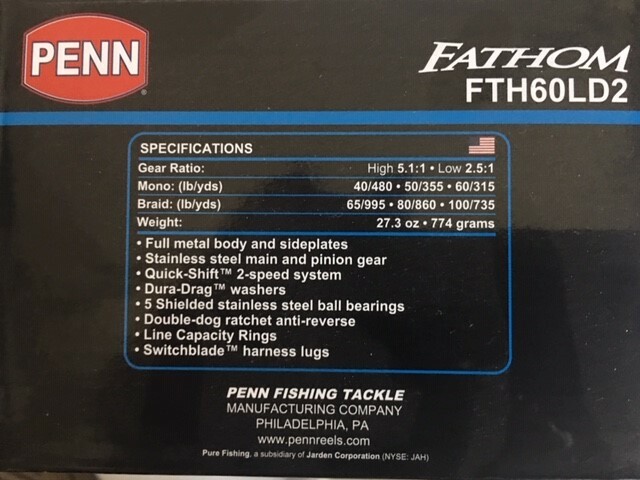 AFTCO is producing some great new gear in both its clothing line and tackle department. 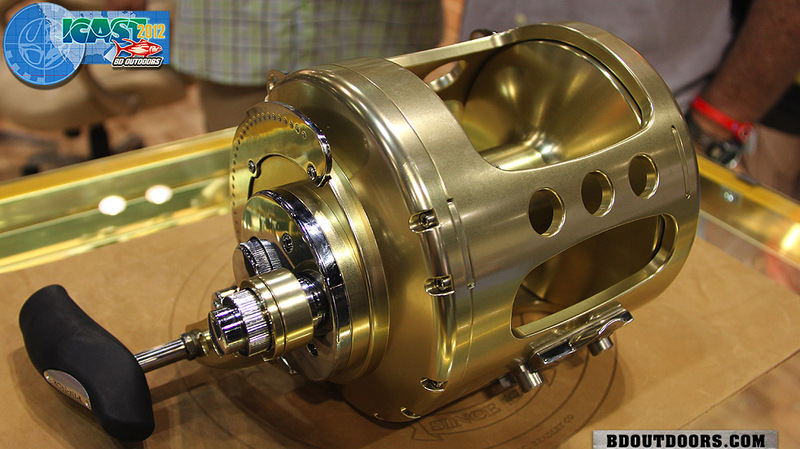 The new Reel Drag Technology is about to take the industry by storm. Don’t worry, we’ll keep you posted. 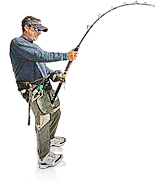 The new Microwave Guide from American Tackle has a small guide within a larger guide to help avoid wind knots and give you a longer cast. We tested it out and will confirm that it works. 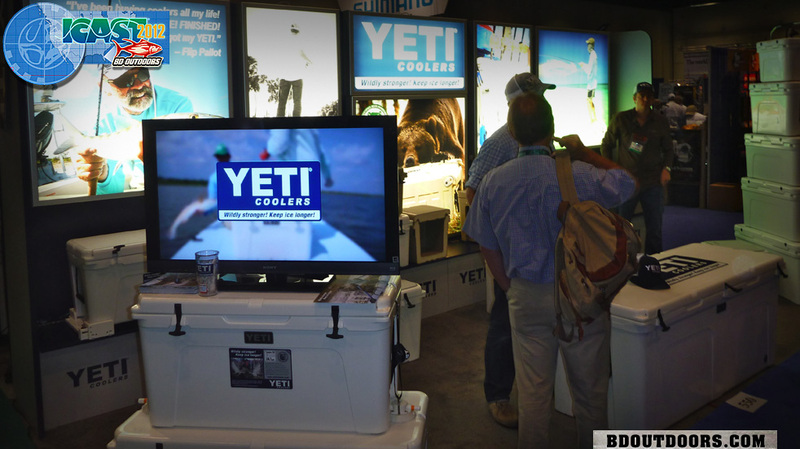 Yeti Coolers continue to gain popularity with fishermen. They’re sturdy, nearly indestructible and hold ice for days and days. 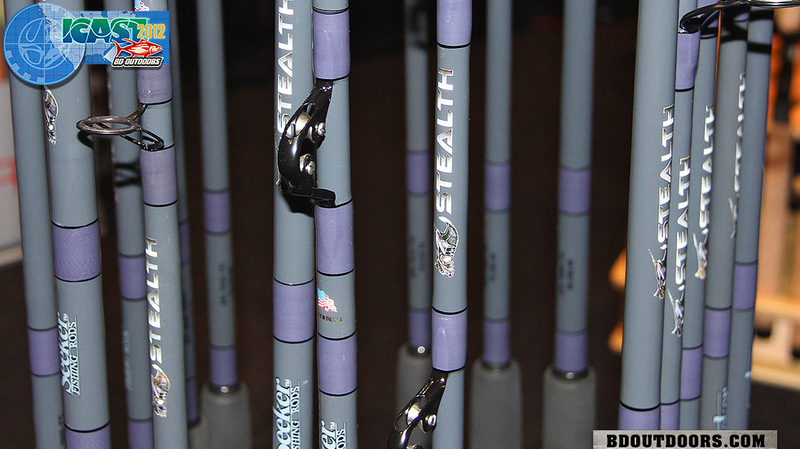 The Stealth line of rods from Seeker not only look good, they’re extremely lightweight and powerful as well. 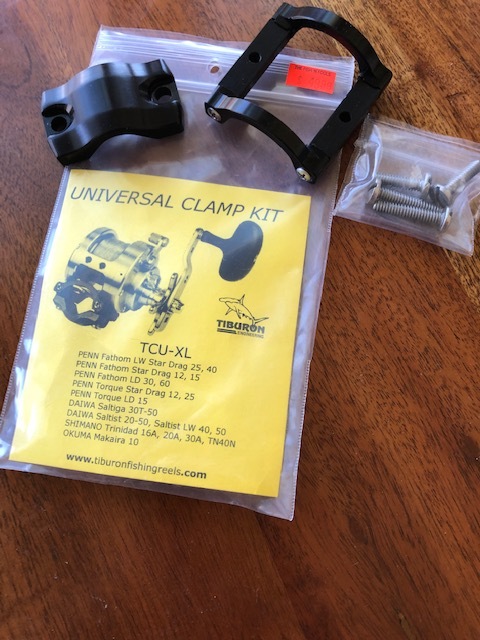 Great new stuff from a venerable rod builder. Berkley celebrates its 75th anniversary this year, a huge milestone! The company also unveiled several new Gulp! patterns, accessories and Trilene XL line. 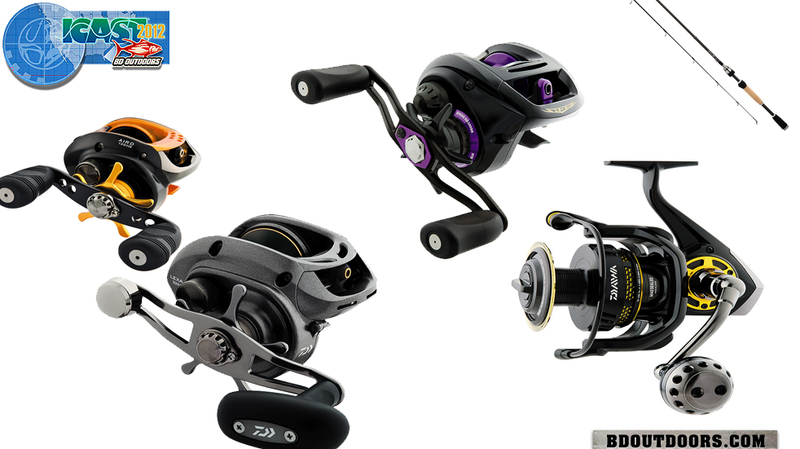 The Abu Garcia Revo baitcaster won the top freshwater reel award. 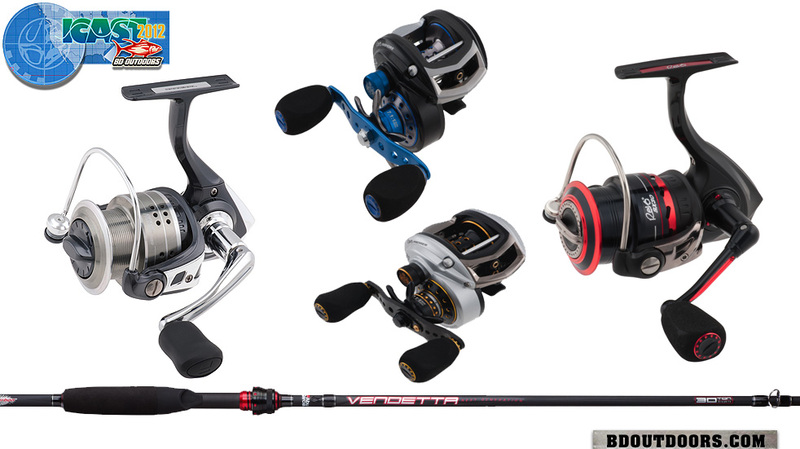 Abu also released new spinners from Cardinal and Revo, as well as the Vendetta casting rods. It was great to see the crew from Casa Vieja Lodge in Guatemala and talk about their quest to land 3,000 billfish in one year! We’ll be covering all of the action here on BD so stay tuned. 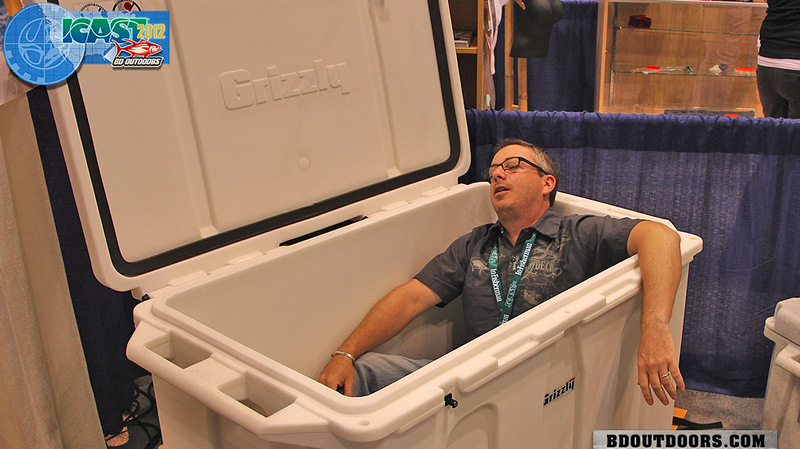 BD’s editor found a comfortable spot to sneak in a power nap, the new super-sized cooler from Grizzly. This bad boy holds 500 beers and keeps ice for weeks. Jose Wejebe was an adventurer in every sense of the word. 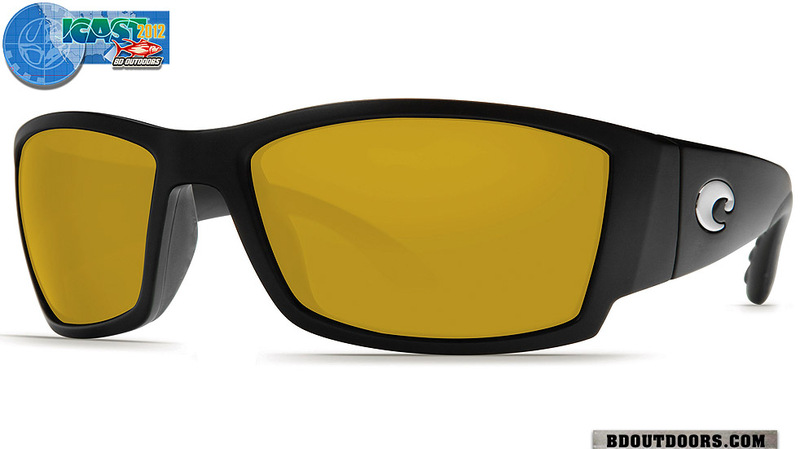 His long relationship with Costa produced countless fishing journeys and helped develop the sport’s premiere sunglasses. 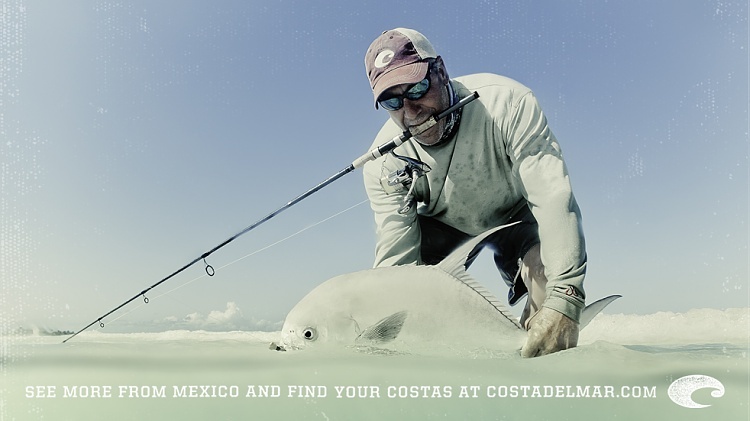 For more info on Costa’s latest gear and epic fishing stories, visit www.costadelmar.com.